Our Utility Pocket Pack containing the CAT Tourniquet and Quik Clot Hemostatic Gauze, the standard in the industry for Trauma Management. 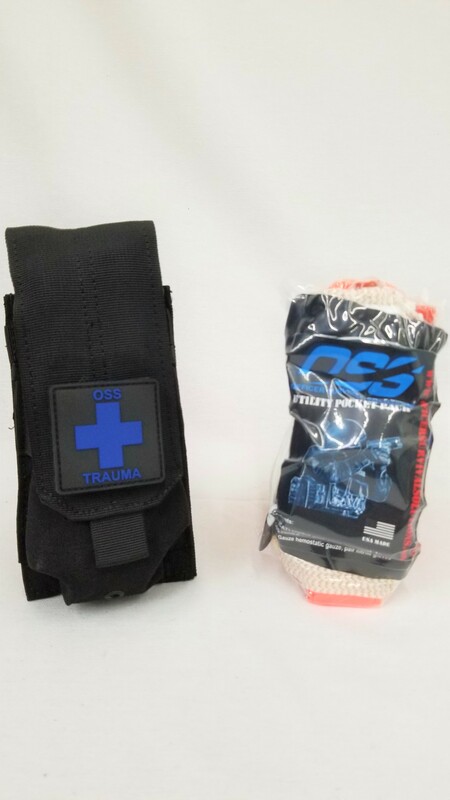 The pack itself is our specifically designed "skip pack" rugged enough to be skipped, thrown or kicked across a pavement surface to a wounded officer if he/she is inside a hot zone and rescue is not readily available. This kit is designed for officers/agents that are wearing a much larger pocket area such as a BDU or cargo style pocket as the kit is approx. 3x6 and 1 1/2 thick. This is also a must have in any Active Shooter bag or "Go" bag.